If one date should remain riveted in the Samoan mind it is 28 December 1929. On that day, now known as “Black Saturday,” the dream that Samoa would achieve freedom and independence from colonial rule was born; it was born in blood. The blood belonged to the leader of Samoa’s non-violent Mau a Tumua ma Pule (“strongly held opinion”) Movement, Tupua Tamasese Lealofi, who was shot by New Zealand police as he was leading a peaceful demonstration in downtown Apia. It was the blackest day in Samoa then. It still is today. It started when a leader of the demonstration resisted police arrest, a struggle between the police and the Mau demonstrators ensued, and the officers fired randomly into the crowd. The police used a mounted Lewis machine gun designed to disperse the demonstrators, and Tupua was shot from behind and killed. “He was trying to bring calm and order to the Mau demonstrators by calling out ‘Peace Samoa’, when he was shot. “Ten others died that day and some 50 were injured by gunshots and police batons” and the day turned black. However, Samoa’s “drive for political independence” began all the way back to when the country was called German Samoa, and Governor Dr Wilhelm Solf was in complete control. 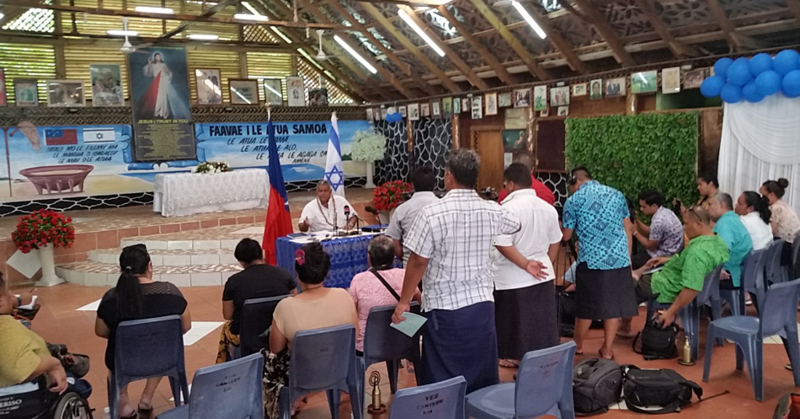 It was when “dissatisfied with the way Dr Solf had changed Samoa’s Fa’alupega and centralized all authority in his hands,” Samoan matai got together and formed the Mau Movement. And now mad with rage, Dr Solf acted. “In the first months of 1909, Governor Solf called in the military to quash Lauaki and the Mau a Pule on Savai’i,” Wikipedia confirmed. Four warships and troops from the East Asia Squadron arrived. The warships cordoned off Savai’i from Upolu. On 1 April 1909 Lauaki surrendered with other Safotulafai chiefs and Mau a Pule supporters. They were arrested and tried. On 19 April 1909, Lauaki and 71 members of the Mau a Pule were exiled to the German colony, Saipan, in the Mariana Islands aboard the ship SMS Jaguar. The other exiled Mau a Pule leaders included I’iga Pisa, Asiata Tautoloa, Leiataua Mana, Namulauulu Pulali, Tuilagi Letasi. Among the exiles were also women and children including Lauaki’s wife Sivaotele and their only child, Tivoli. Lauaki and others never saw Samoa again. However years later some returned to Samoa. On 18 December 1915 some, including Leiataua Mana, Taupau Pauesi, Tagaloa and Malaeulu, returned home. They brought back the bones of Asiata Taetoloa, Tevaga, Letasi, Tuilagi, and members of their families who had died in Saipan. On his way back with his wife and son, Lauaki fell ill and they were forced to stop at Tarawa in the Gilbert Islands. Lauaki died there. On 15 January 1916, his wife Sivaotele and their son arrived back aboard the steamer Atua. They brought the news that Lauaki had died in Tarawa. After Lauaki’s death and by the late 1920s, the Mau Movement had gathered widespread support in Samoa. Incidentally, one of the Mau leaders was Olaf Frederick Nelson, a merchant born in Safune, Savai’i. His father was the Swedish trader, August Nilspeter Gustav Nelson, and his mother was Sina Masoe of the Tupua Tamasese Meaole family. Olaf was conferred the title Taisi. Nelson’s early years saw him working in his father’s business, and he became a successful merchant in his own right. He expanded his father’s copra trading business throughout the islands, and by the time he was thirty five, he was one of the wealthiest members of the Apia community. He was influential in both the Samoan and European communities. Under German rule, when the country was called German Samoa (1900- 1914), the colonial administrators treated Nelson as an equal. And now with German Samoa and Dr Solf gone, and the New Zealand government taking over as the new colonialists, all that changed. Nelson was excluded and alienated by the New Zealand government. Despite being elected to the Legislative Council in 1924, he could do little as he and the other elected members, were constantly overruled by the more numerous government appointees. This treatment turned Nelson into one of the major forces in Samoa’s Mau Movement and the drive for independence. 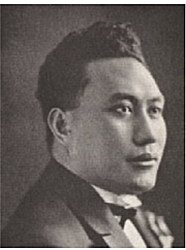 In May 1927, he founded a newspaper, the Samoa Guardian, to support the movement’s claims. In response to his growing public dissent the New Zealand administration tried to brand Nelson as unscrupulous and a trouble maker. But Nelson did not care. He continued to assist the Mau Movement financially and politically, and saw it expand to include women. And that did not endear him to the leaders of the New Zealand administration, just as Namulau’ulu Lauaki had been loathed by Dr Solf. In any case, the colonial administration’s desperation to silence Nelson led them to exile him in January 1928, along with two other part-European members of the Mau. During his five years of exile, Nelson took his protests as far as to the League of Nations in Geneva. Six months after his return to Samoa, he was sentenced to ten additional years in exile as well as eight months imprisonment in New Zealand. This was cut short in 1936. It was after Labour had won the New Zealand general election in 1935, so he returned to Samoa and helped in the signing of the co-operation agreement between Samoan leaders and the New Zealand administration. And so as we are approaching the celebrations of our 86th year of political independence, what do you think? Do you think we are honouring the memory of our forebears who sacrificed so much so that we can have this wonderful freedom to speak our minds that we are taking for granted today? Do you think our leaders are doing justice to the legacy laid down by those who suffered the indignity of being jailed and even died in exile, so that we can have this independence of thought we are enjoying today? *This editorial first appeared in the Samoa Observer on 30 May 2013. Now slightly revised, confirmation text in it are taken from “An Account of Samoan History up to 1918” by Samoan historian, Teo Tuvale, and Wikipedia.